Metal detecting at the beach is a time honored tradition that's upheld by many treasure hunters. While it does lend to some radical stereotypes about metal detectorists, it is important to realize there is a reason for beach metal detecting. A good portion of beachgoers tend to wear expensive jewelry and if a person spends enough time with their metal detecting device at the beach, they are bound to find gold rings and jewelry. In fact, the skyrocketing price of gold has turned this past time for some into a full time job! So, what makes metal detecting at the beach so profitable? First, it is important to look at how and why the beach is so plentiful with valuable items. The ebb and flow of the tides allows for objects of a similar weight to be deposited in the same area along a beach’s high water mark. Once a metal detectorist finds one valuable item, there is the strong possibility of finding another in a short radius. It is not unheard of to find at least $1,000.00 worth of jewelry in just a few short weeks! The best beaches for finding the most valuable treasurers are more populated ones in cities like Fort Lauderdale and Tampa, Florida; Atlantic City, New Jersey; Myrtle Beach, South Carolina; Venice Beach and La Jolla Beach, California. These beaches tend to be upscale and have greater instances of individuals losing their valuables. The best single spots on these beaches to treasure hunt include trails, walkways, seawalls, boardwalks and concession stands. Utilizing maps and resources from the library will allow treasure hunters to also find abandoned or lesser-known swimming destinations which can open up new and exciting opportunities for treasure hunting. Private or quiet beaches tend to produce less because they have a smaller amount of people on their shores. On the other hand, lost beaches or beaches where there has been a lot of activity in the past make for great treasure hunting due to erosion caused by the tide or surf. These changes in the topography allow for sand to uncover any valuable items that may have been lost over time. Development along beaches can play an important role because construction tends to dig up loose soil where gold rings and other jewelry can be found. Deciding on the best device to find all the gold rings and jewelry left over will depend on whether the treasure hunter is metal detecting near saltwater or freshwater. There are metal detectors that are ideal for freshwater, however the mineralization of the saltwater makes it so that a metal detector specific to these kinds of conditions is necessary. If the treasure hunt is going to take place in shallow water then an underwater metal detector will be needed since a lot of devices aren't designed to be submerged. 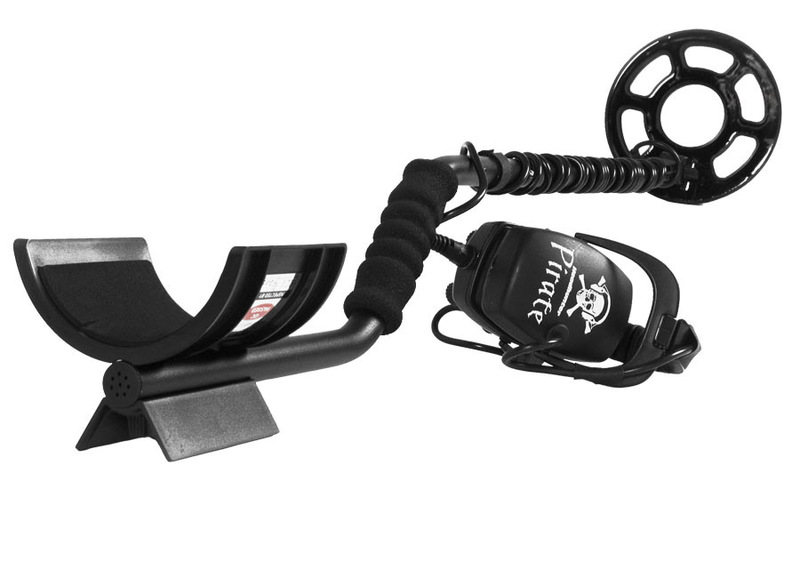 Very Low Frequency (VLF) metal detectors make metal detecting on the beach or freshwater affordable. While they can be used on saltwater beaches, VLF metal detectors react to salt and can produce false signals when scanning wet, salty sand. Many VLF models are adaptable however and can be adjusted for ground balance. A lot of newer metal detectors include displays that indicate what kind of treasure is underfoot. This digital LCD screen can include displays of dimes, quarters, gold, foil, jewelry, etc. The downside is that metal detectors that operate underwater do not include these features. To get a better metal detecting experience on a saltwater beach, it is recommended to use a Pulse Induction (PI) metal detectors. PI metal detectors were built to ignore salt and find targets buried deep below the surface. 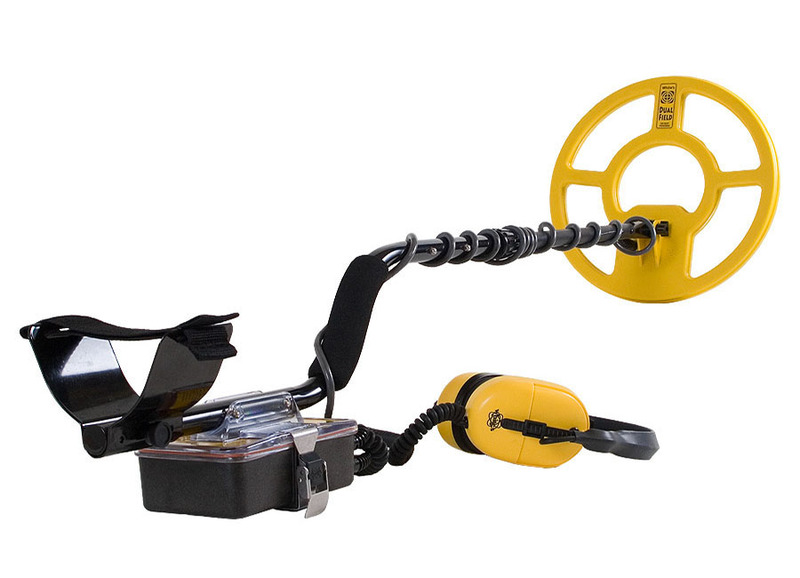 These metal detectors are some of the deepest-seeking metal detectors on the market. The downside is that they cannot discriminate against iron and junk while looking for gold. It is important to the note that some PI metal detectors are water resistant where only the search coil can be submerged or the whole device is waterproof. In this case, it is good idea to do a side by side comparison to make sure that the metal detector will be able to handle the conditions of the treasure hunt. Having the right device is important but technique is everything. Most treasure hunters on the beach will walk slowly across the length of the shore and swing the search coil from side to side. By working methodically in a planned pattern such as gridding, metal detectorists can make sure they get every square inch. This method involves walking parallel to the water and then stepping one to two feet aside while working back to the starting point. The search coil should overlap each trip and the grid can even be marked by using a scoop. The trick is to keep swinging the metal detector slowly so the device can penetrate deeper into the earth to get better signals. Even if a signal has been hit and a target has been dug out, it is important to still keep digging in the area because the signal is only going to go off one target. If there are two or more targets then it is important to keep scanning and digging. Like all things in life, metal detecting on the beach takes patience. 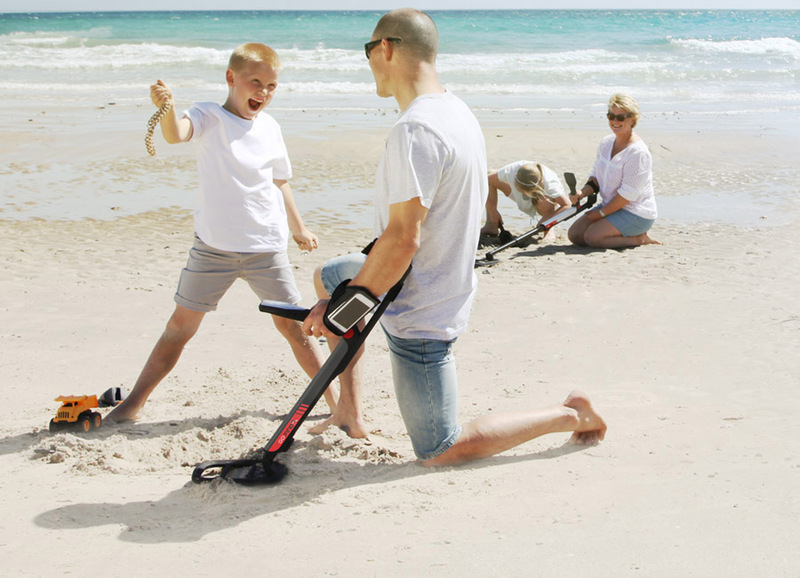 Once a treasure hunter has found the perfect metal detector and beach, the next step is to get the technique down. After they got the technique down, it is only a matter of time till they find that once-in-a-lifetime treasure that makes it all worth while!